It is important to know the angle of view of the lens to take in the object. Angle of view changes with focal length of lens and image size of camera. 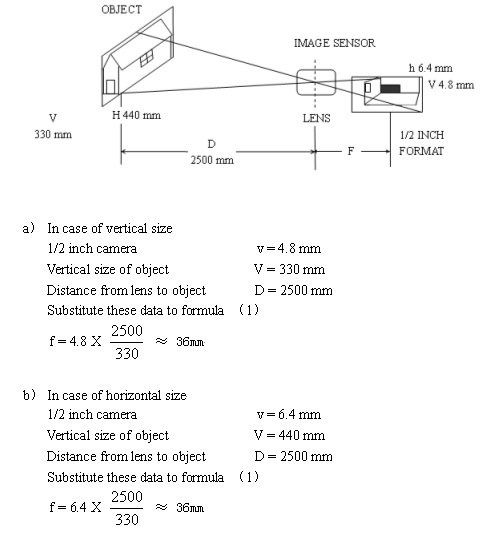 The focal length to cover the object can be calculated from the following formula.